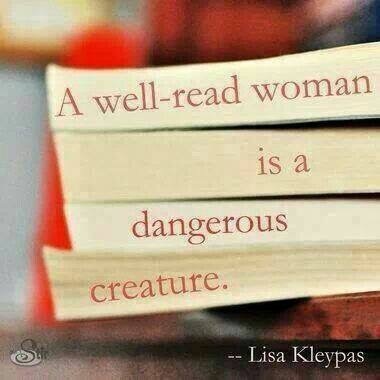 In Celebration of Books and Strong, Free-Thinking Women …. I enjoy blogging, but I love books. That’s the only excuse I can offer on this occasion for the recent lull on the post front, sorry. Also, I often now have to share the space between my eyes and the keyboard with a very large tabby and white cat called Atticus. Atticus loves me a lot, and he is lovely, but there are other places it’s easier for him to be. 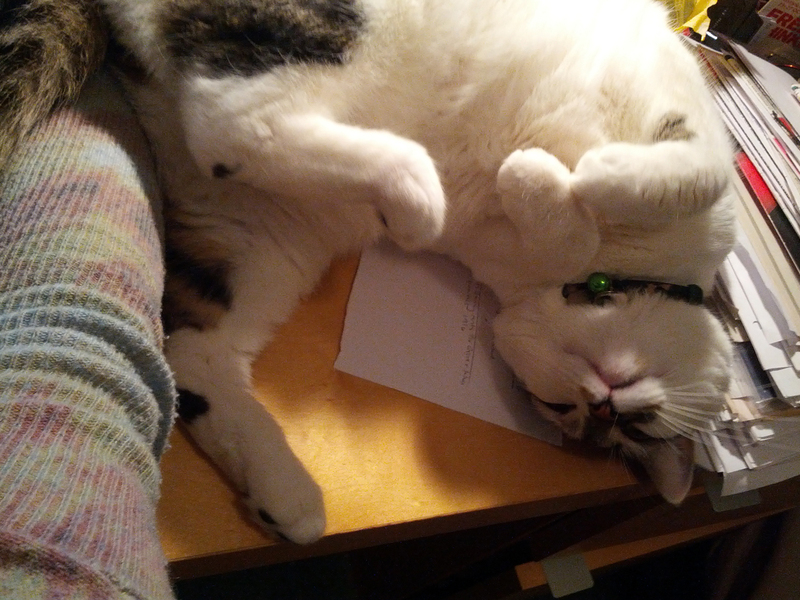 If he’s not blocking my vision when working at the computer or standing on the keypad, then he’s stretched out across the mouse mat – as he is now. The problem here is obvious! Atticus is undoubtedly a dangerous creature where blogging is concerned. I didn’t post last Sunday as I was resting up before going down to GDST Trust Office on Monday and the weekend before that I was at The Radio 3 Free Thinking Festival at The Sage, Gateshead (Friday night, Saturday and Sunday) with old friends from the RGS English Department. Which is where the books come into this. It was an appropriately named Festival of ideas this year: The Speed of Life. 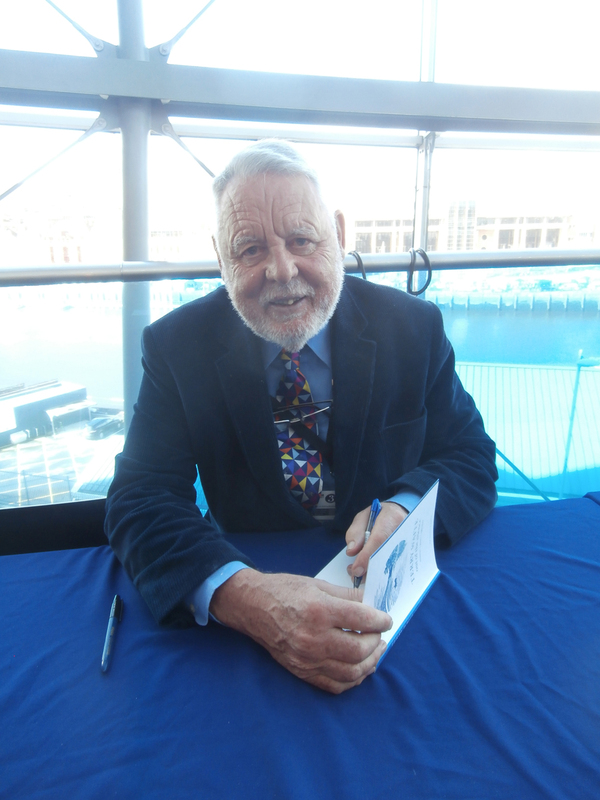 One of the stand-out speakers was Terry Waite, the Archbishop of Canterbury’s envoy taken captive by terrorists in Lebanon in 1987, who took part in a discussion on ‘Doing Time/Confinement’. It was a sobering experience to shake hands with a man who had spent five years in confinement chained to a radiator, four of them in enforced silence. What is most remarkable is what came ‘Out of the Silence’ (the title of his most recent book). Creative output. I hope this doesn’t sound like a crass comparison, but I can identify with that. My time on Eskdale felt that way and this blog is the result. 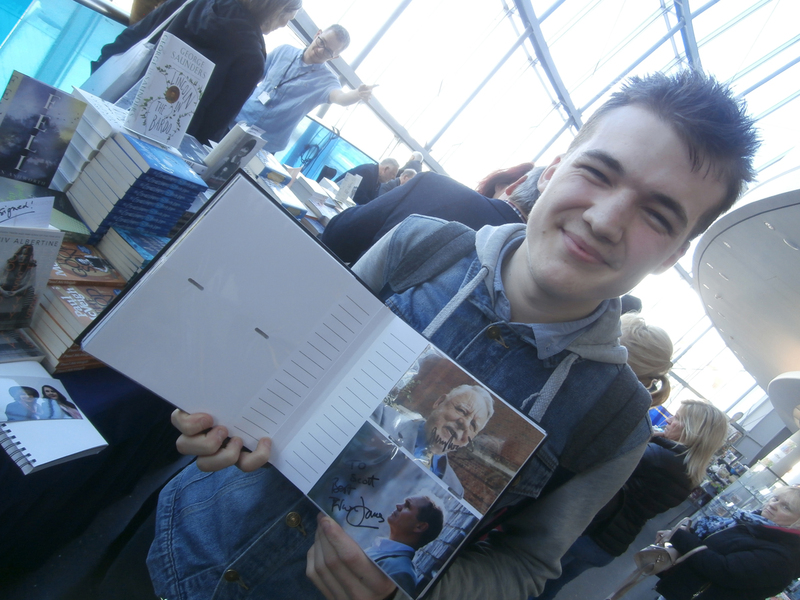 Terry Waite signing ‘Out of the Silence’ . My creative process isn’t a silent one tonight. I have Radio 3 on very low in my left ear and Atticus snoring in my right one. I usually blog in silence. Perhaps that is why this is a different kind of post. 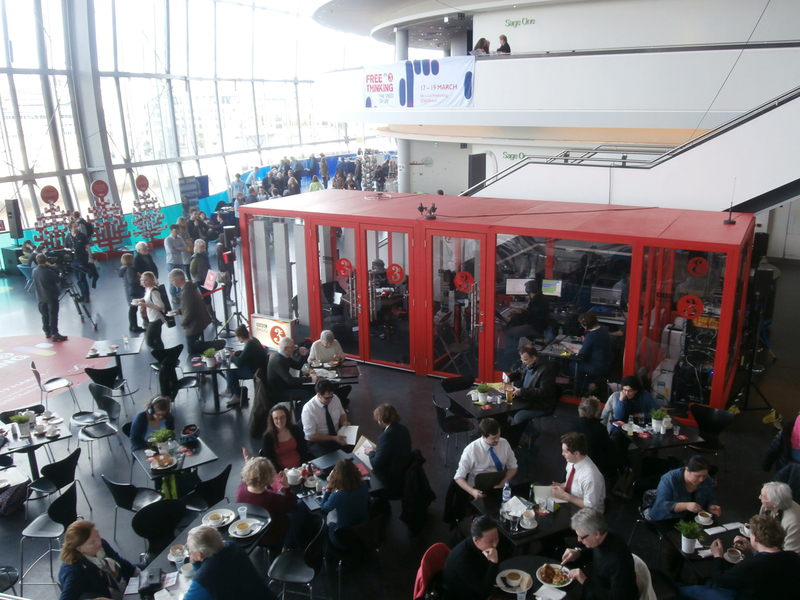 At Free Thinking time, The Sage often plays Radio 3 live on the Concourse and the café area is always enveloped in a fug of hub-bub. Tom Service’s ‘The Listening Service’ on air live at The Sage. You meet some very interesting people there too. Like-minded, thinking people. 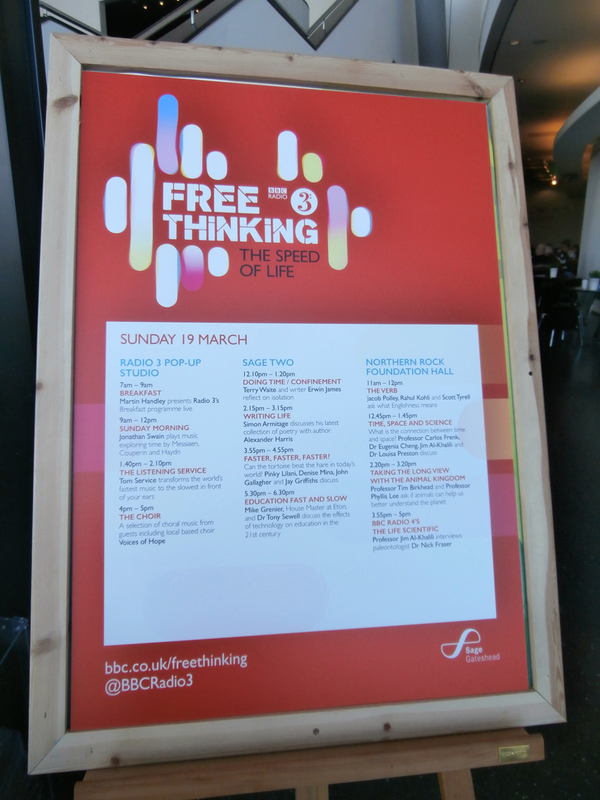 One person who certainly fitted that bill was Scott Handy, a jazz musician I met who, while studying at The Sage, had set himself the task to meet every single one of this year’s ‘Free-Thinkers’ in person. I told him that this photograph would be online by a week gone Monday at the latest. Many apologies there, Scott. Scott Handy, jazz musician, after meeting Terry Waite too. With ‘Giving Every Girl a Voice’ and ‘Truth Conquers All’ being synonymous with Church High, it won’t surprise you to hear, I’m sure, that I bumped into a few of our extended school family there. Carol Greenwood was on her way to a different talk when I met her, but she looked in great form. 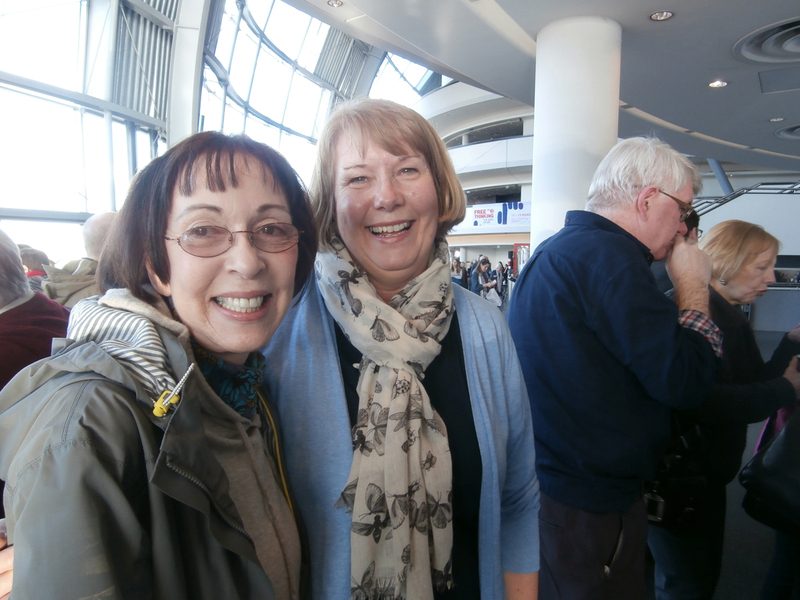 As were Trish Hutson and Hilary Temperley, both fondly remembered colleagues from the staff who saw out the final days together, forging bonds now as firm as family. ‘Free Thinking Women’ at the bar: so lovely to meet up with Trish Hutson and Hilary Temperley again (with RGS’s Simon Barker and Hazel Jones-Lee pictured in the background). What I wasn’t expecting, however, was to show my ticket to – then do a double-take on – ‘Old Girl’ Alex Mackellar at Sage Two’s door. 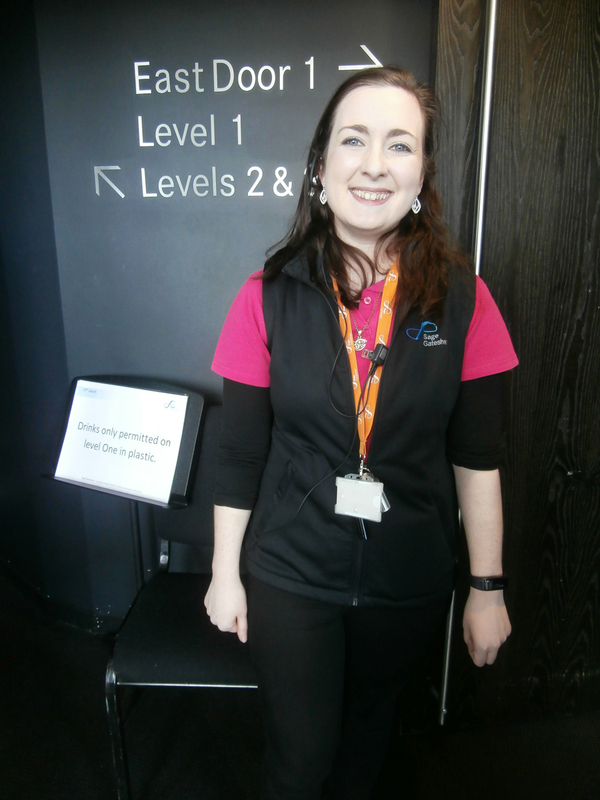 Alex Mackellar, now a Junior School teacher, was doing a bit of moonlighting as well as free-thinking at The Sage. It was good to see her. I don’t know how many of you are aware of this, but a Church High ‘Old Girl’ who really was a free-thinker and whose voice was heard – and had a lasting impact – at both a national and international level – was Irene Ward. 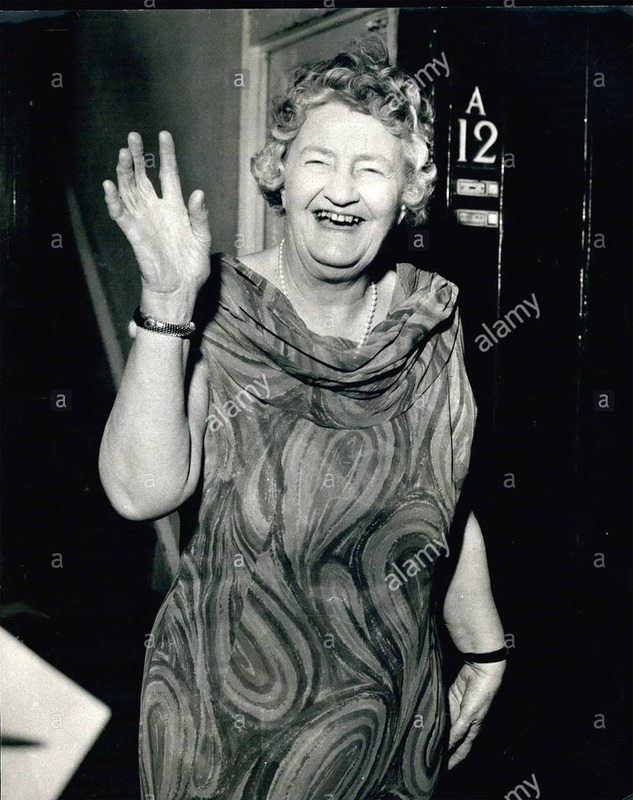 Dame Irene, as she was later to become, was for many years the longest-serving woman MP (Mother of the House) until that record was broken by Gwyneth Dunwoody in 2007. Irene served almost 38 years in the House of Commons – no mean feat for a woman at that time or even now for that matter. We should all be very proud that such a trail-blazing woman was one of our Alumnae. 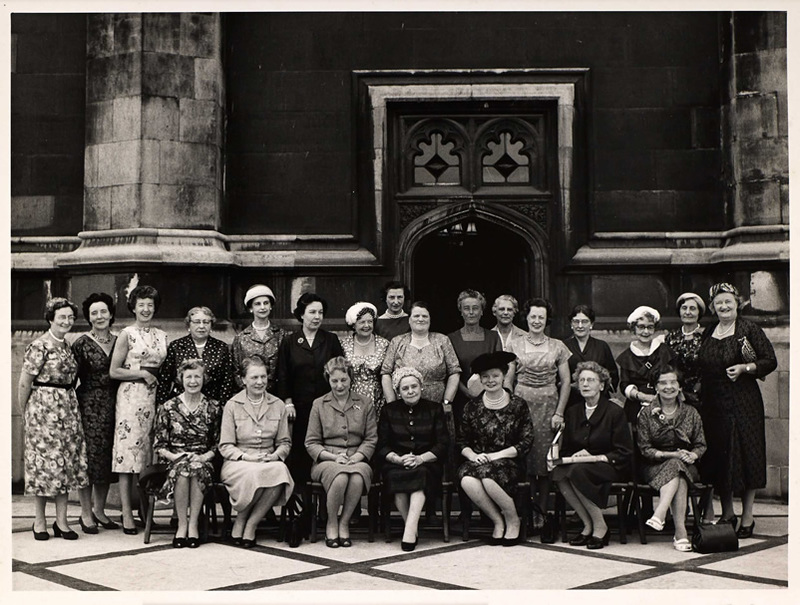 Dame Irene Ward (far right) with the women MPs of 1959. Whilst doing my research for the book I intend to write, I was delighted to see Dame Irene features in Josephine Kamm’s interestingly-titled book ‘Rapiers and Battleaxes: The Women’s Movement and its Aftermath’ – presumably Irene is in the latter category. Referring to her as an accomplished member of the Conservative Party, Kamm records that Dame Irene laid a wreath on February 6th, 1962, at feminist, suffragist and union leader Dame Millicent Fawcett‘s memorial in Westminster Abbey to commemorate the 44th anniversary of the grant of the vote to women over thirty. 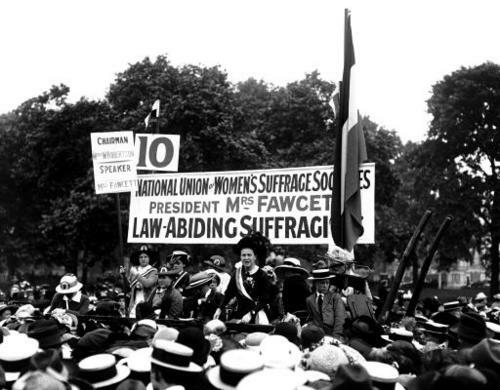 Millicent Fawcett speaking at a Hyde Park Rally in 1913. 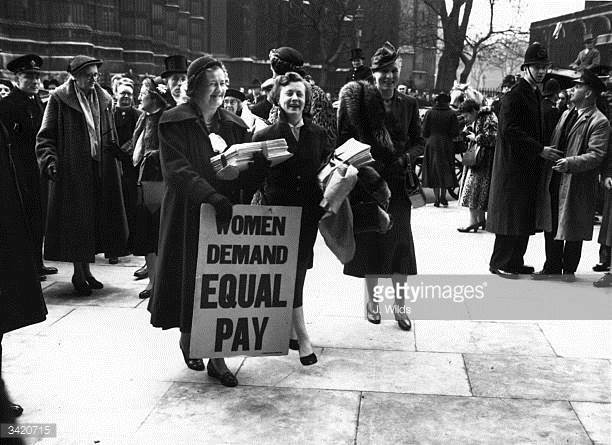 Irene Ward fighting for equal pay in 1954 (Getty Images). 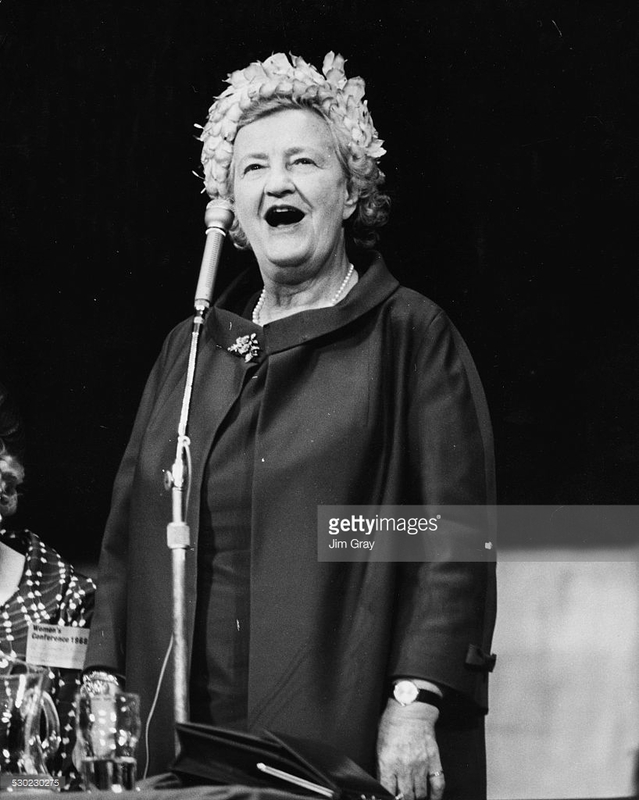 Dame Irene speaking at the afternoon session of the Women’s Conservative Conference, Royal Festival Hall, London, May 28th 1968. A couple of weeks earlier, on May 5th, at the age of 72 years, Dame Irene hit the headlines after being banned from the Houses of Parliament by the Speaker having staged a one-woman protest against what she called ‘dictatorship’. Even after the Speaker announced her suspension, she continued to protest and only left when the Sergeant-at-Arms escorted her out. The result of her action was a suspension for 5 sitting days of Parliament. Truly a free-thinking lady! The image below is the actual press photograph taken outside Dame Irene’s flat in Belgravia the night after she was suspended. Dame Irene (72) after her suspension (Alamy). I’m sure another redoubtable lady, Emily Davies (feminist, suffragist and pioneering campaigner for women’s rights), who interestingly spent her childhood and early adult life living in Gateshead, would have approved of Irene’s stand about the way the House was run. Educated, north-bred women then, as now, are made of stern stuff. 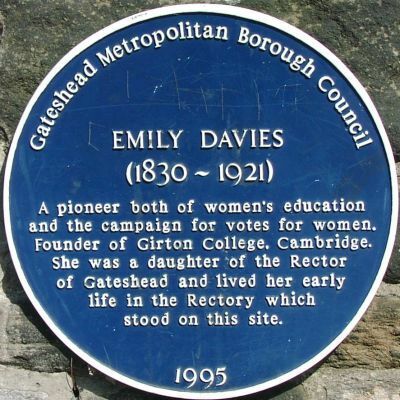 The Emily Davies’ Blue Plaque on Bensham Road, Gateshead. 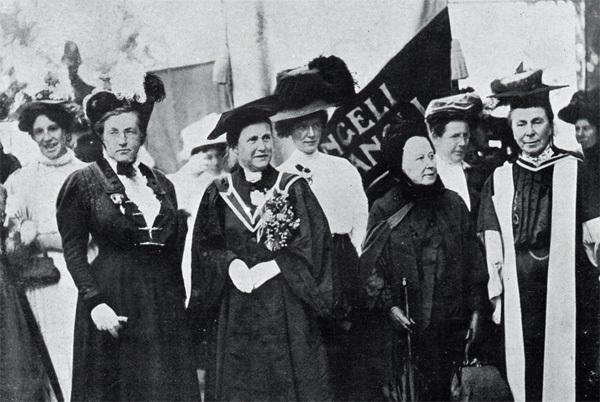 1908: Emily Davies (second from right) marches with Miss Gurney’s former Head Mistress, Sophie Bryant (far right). This image was published in ‘The Bystander’ on June 17th, 1908. 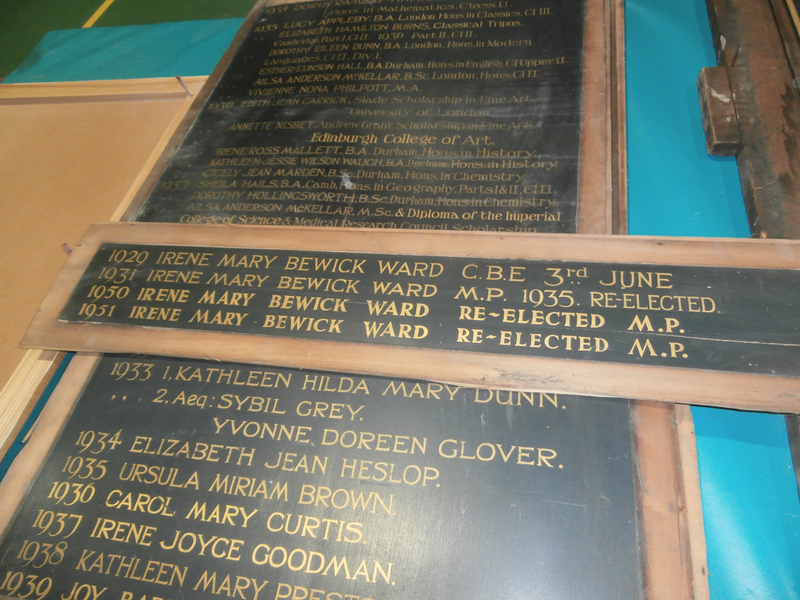 Church High acknowledged Irene Ward’s remarkable achievements alongside the names of other outstanding Old Girls on the Honours Board behind the stage at the north end of the Hall. You will have looked at it often, as it was set into the boards just above the door. The oldest Newcastle High/Church High Honours Boards were kept in the Sports Hall all through the refurbishment process; at present, they are stored in Tankerville House. Personally, I first heard of Dame Irene Ward in the context of the School Library. I recall Jill Mortiboys telling me that, on her death, Irene had bequeathed all of her books to her beloved Church High. I remembered this at the very last minute when the library, by then in the LRC, was being disbanded pre-merger. Although heartening to see hordes of girls in green climbing the stairs with beaming faces and arms piled high with books, it was still a sad sight to behold and I cringe to think what Dame Irene would have thought and/or said. I think this wandering, wistful thought was what brought her to mind. I’m glad it did though, because I turned on my heals immediately and went in search of at least one of Dame Irene’s books as a memento. I knew what I was looking for. 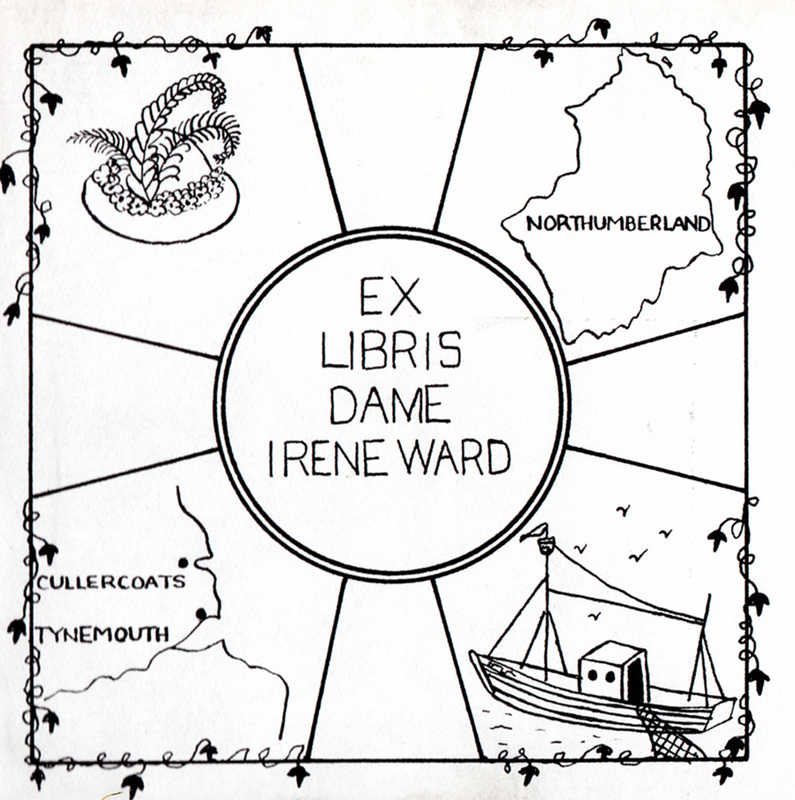 They all contained not only the old Church High Library plate but Irene’s wonderfully-quirky, highly-distinctive personal book-plate: Northumberland, Tynemouth, Cullercoats and a most marvellous hat! Irene certainly had style. 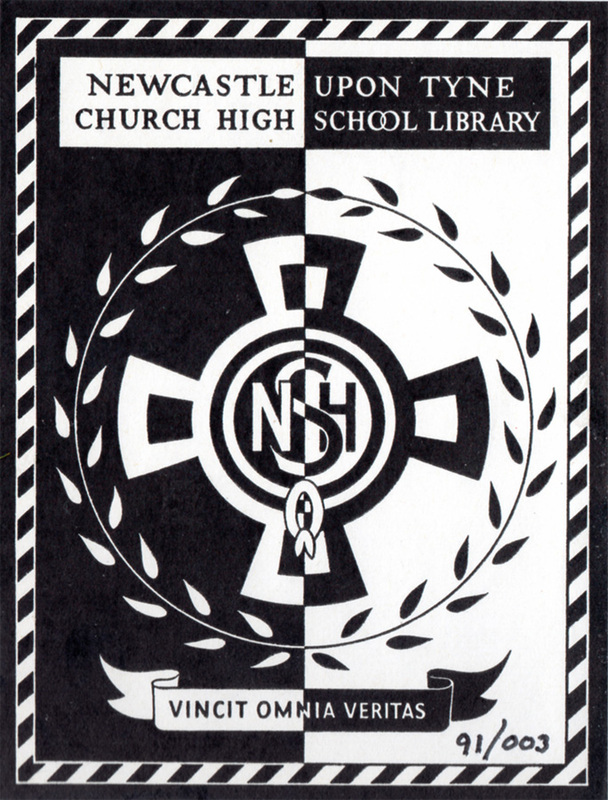 Church High Library bookplate (above): Dame Irene Ward’s personal bookplate (below). If you’re curious which book I chose to take to remember Dame Irene by, it was a hard-back First Edition of Kenneth Clark’s ‘Civilisation: A Personal View’ given to Irene as a Christmas present by ‘Thelma’ in 1969. To me, that seemed very, very appropriate for a woman who, exemplifying the Church High ethos, gave unstinting, passionate public service in order to make our country a better place for all. I thought long and hard about the best way to end this post. (Atticus is long gone now, but has been replaced by a similarly snoring Ziggy). 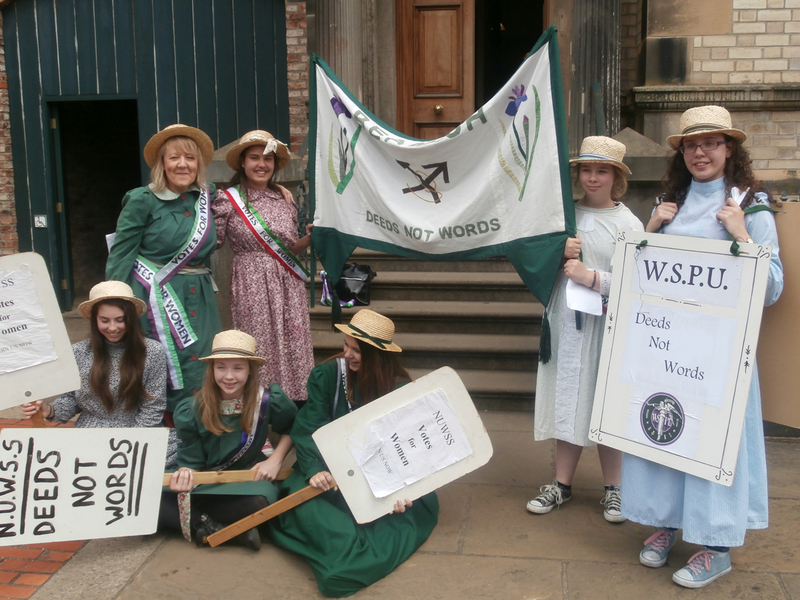 Finally, I decided to share a photograph taken of myself and the only six NHSG Year 8 girls who signed up for the Suffragette educational activity on our end of year trip to Beamish in 2015: all six were ex-Church High girls, which says a lot. Providing she didn’t notice that I had unwittingly put my dress on back-to-front, I am sure that Dame Irene Ward would have been extremely proud of us. Dangerous, well-read creatures following in famous footsteps.